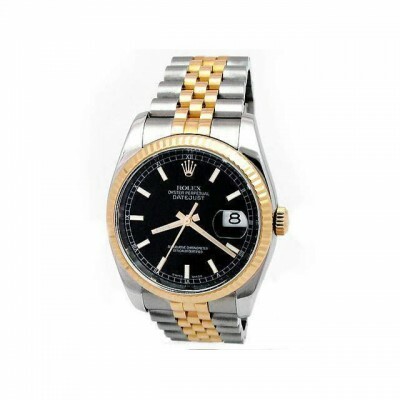 36mm Gents Rolex 18K Gold & Stainless Steel Oyster Perpetual Datejust Watch. Black Dial. 18K Yellow Gold Fluted Bezel. 18K Gold & Stainless Steel Jubilee Band. Style 116233.